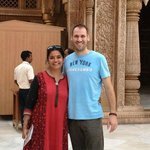 We are an Italian couple who was visiting Mumbai for the second time,after 20 years. We hade just one day ,on our way back to Italy from the Maldives and Tamil Nad,but wanted to see how much the city had changed from our first visit. Luckily we looked up Internet and picked up the first rated agency in town: Bravo Bombay. We could not have done better! "fac totum" Hemali is the best city guide we ever met! She loves and knows her city so deeply and so enthusiast and professional in her job that she was able to show and intimately describe all the main sections of town( including the Dharavi slum,which is worth a trip from Europe by itself) ,making them alive for you. What a magnificent day. There are websites, and guide books but nothing compares to having your own local guide to see past the sites and into the local culture, people and real attractions. Despite my last minute request, Hemali prepared an afternoon tour of Bombay. What was great was the number of sites we visited in such a short time; but I never felt rushed. What was better was her truly authentic local knowledge that opens your perspective to everything beyond the sights - history, culture, people, religion, current events - She weaved a tapestry of wisdom all afternoon and it felt like I was spending time with an old friend - Even sitting in the Bombay traffic was enjoyable. 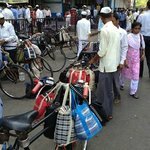 Little details like arriving at the right place, right time to have the dabbawalla boys converge on their trek home was terrific; to enjoying an afternoon meal at the ISKON temple made this magical and impossible to replicate. 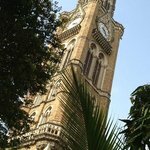 If you get the chance to visit Bombay, take time out to spend with Bravo Bombay and Hemali. 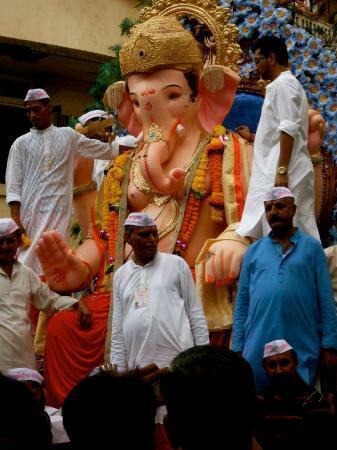 And price - you get a private air-con car and driver, a private tour guide with an encyclopaedic knowledge of Mumbai. Its great value and worth the investment. My second tour with Hemali was spent at Dharavi and doing a half day city tour of some attractions i had specifically requested. 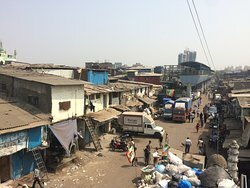 Dharavi was an eye opening experience and is a must if you would like to see another side to the great city of Mumbai. I got to experience the amazing spirit of the people who live there including the gorgeous children. It is truly a life changing experience... I can't recommend it enough. Hemali made my experience such a memorable one with her amazing knowledge and the friendships already built within the community. If you are looking for something a little different, then do this tour. 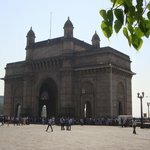 I also toured the Victoria Terminus Station and the Dhobi Ghat which was also an incredible and interesting experience. Hemali also took me back to my favourite Falooda drink near Crawford market. We also had lunch at a local veg restaurant which proved very delicious and allowed me to sample some more local foods like Pav Bhaji!!! Honestly, if you are looking for a tour guide ... look no further. Hemali is your lady!! You won't be disappointed. 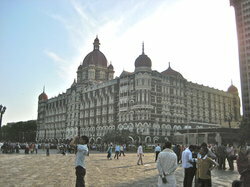 I can't wait to travel back to Mumbai with my partner and take another tour. We had an amazing tour of Mumbai expertly led by Hemali who is a delightful lady and whose local knowledge is second to none. We saw a complete range of sights, from the dhobi/outdoor laundry to the Taj Mahal Hotel! We travelled in a very comfortable air conditioned coach, (only six in our party) and covered an amazing spectrum of Mumbai life. We had a delicious lunch which Hemali helped us to choose in the Hari Krishna Temple Restaurant. 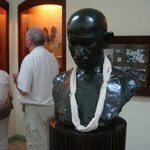 We would highly recommend this tour to anyone wanting a full day's experience and flavour of Mumbai. Having read various reviews of "Bravo Bombay" on Tripadvisor, decided on this company for our one day in Mumbai. How extremely fortunate we were to have Hemali for our tour guide. She met us at the port gates and showed us around her city in a spacious, air conditioned mini-bus. 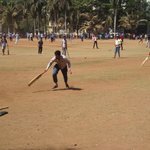 We had corresponded beforehand and decided on the itinerary for the day with additional suggestions by Hemali, who wanted us to see first hand, India's obsession with cricket. A stop was made at lunchtime at the vegetarian restaurant next to the Radha Gopinath Temple. The food was excellent, inexpensive and the restaurant was clean and appealing.The restaurant accomodated us very quickly thanks to Hemali's charm. She is such a beautiful person and really cares about your enjoyment. We had such a fantastic day and it was the highlight of our long cruise.One day was really too short to see all of Mumbai and we wished we could have stayed for a further two days at least. 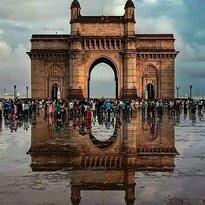 Since arriving home we have recommended "Bravo Bombay" to our friends who will be booking for their three days in Mumbai next year. Next time we visit we shall definitely use the company again since other alternative itineraries are available.